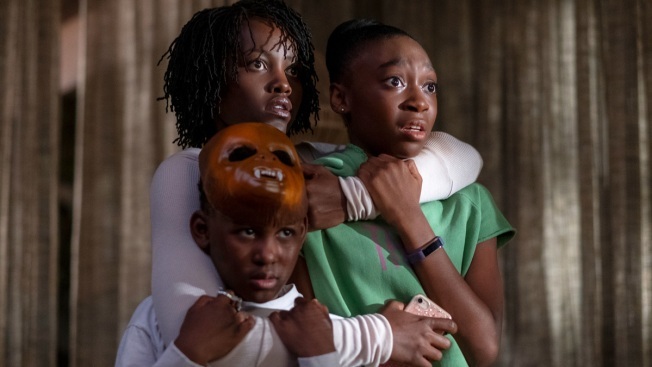 This image released by Universal Pictures shows, from left, Evan Alex, Lupita Nyong'o and Shahadi Wright Joseph in a scene from "Us," written, produced and directed by Jordan Peele. But the weekend belonged overwhelming to "Us," which more than doubled the $33.4 million domestic debut of 2017's Oscar-winning "Get Out." 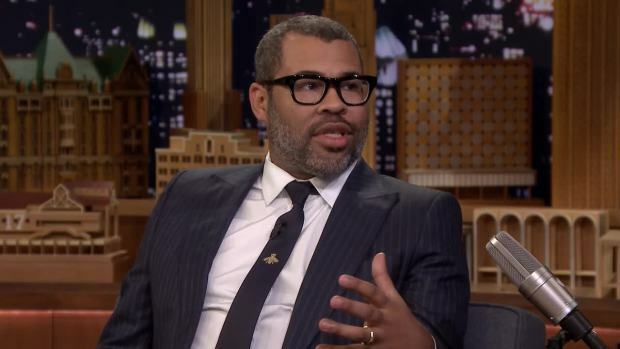 The former "Key &amp; Peele" star's first film as writer-director, "Get Out" ultimately grossed $255.4 million on a $4.5 million budget. 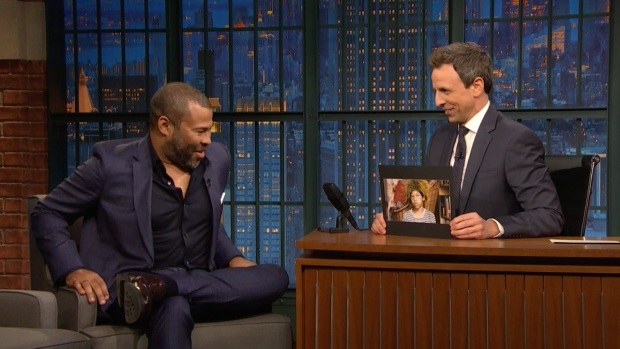 Seth Meyers congratulates Jordan Peele on the success of "Get Out" as the 2017 horror film of the year, but embarrasses him by showing a picture of Jordan dressed as "Beetlejuice" as a child. 2. "Captain Marvel," $35 million. 3. "Wonder Park," $9 million. 4. "Five Feet Apart," $8.8 million. 5. "How to Train Your Dragon: The Hidden World," $6.5 million. 9. "Lego Movie 2: The Second Part," $1.1 million. 10. "Alita: Battle Angel," $1 million.